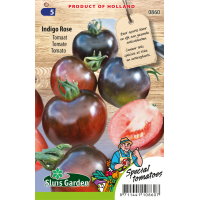 Indigo Rose in its early stages is as black as an aubergine and because of the later change in colour very pretty in your salads. The fruits weighing, about 35 grams, are ready to pick when the fruits fade from blue-purple to a beautiful glossy purple-pink. The taste is then really at its best and delightfully balanced in terms of sweet and sour. 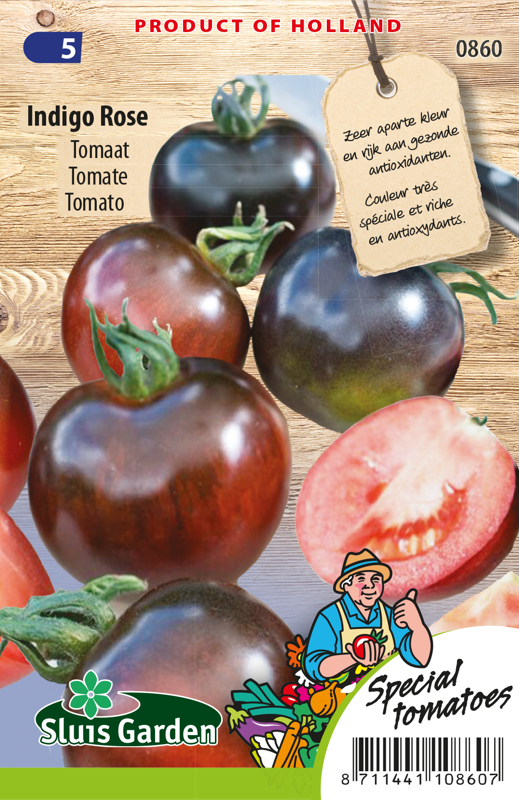 Indigo Rose naturally contains a lot of antioxidants and is therefore a very healthy tomato.